But for now it is time I traveled alone. I will greet you with a smile and "Welcome Home"
Lily D. Lacson 94, of Cary, NC, died November 2, 2017, at her Cary home, surrounded by her loved ones. 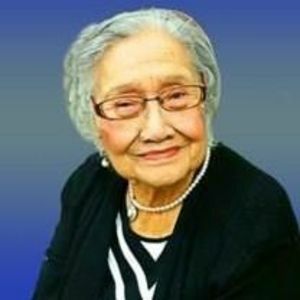 Mrs. Lacson was born September 21, 1923, in Ponte Vedra, Capiz Philippines. Lily is survived by her 13 children; 24 grandchildren and 16 great grandchildren. Lily retired as a teacher and came to America in 1980. She always looks forward and enjoyed her once a year visit to her farm in the Philippines. She built a church on her property, where people can use. She enjoyed cooking and feeding everyone's big appetite. Lily, has a heart in helping anyone that needs her support. She is feisty with a smile. She always makes sure that all her loved ones are taken care of. She was preceded in death by her husband Luis and two daughters Marilyn and Asuncion. A time of visitation will be held from 4-8pm Thursday November 9, 2017 at Brown-Wynne Funeral Home 200 SE Maynard Rd. Cary, NC 27511. A Catholic mass will be held at 1:00pm Friday November 10th at St. Michael Archangel Catholic Church 804 Highhouse Rd. Cary, NC 27513.